▷ Best Dimensional highlights 2019 ¡Photo ideas & step by step! Hairstylist appointments can be completely confusing and mind numbing these days with so many different techniques and so many different names for said techniques, let us take highlights as an example, you can know them as highlights, baby lights, balayage, lowlights, color melting, all over color and the list can go on for so much more time. So let’s just make this simpler for all of us. When it comes to color you technically only have two options; you want dimension or you do not, just like that. All over color means that you will have a solid color all over the head, something just like if you had not applied dye to your hair. Dimensional color means exactly that, adding dimension to the hair by adding different shades of colors also adding depth and movement to the hair. We strongly recommend for you to book a consultation before booking the color appointment, especially if it is your first time at the colorist. This will help you to answer doubts that you may have and the hair stylist can guide you to what could better work for you and your skin tone as well as the best technique for your hair type and length. Most colorist offer a complimentary consultation, allowing them time to look through your hair and observe if any corrections are necessary before creating the color you have always dreamed about! 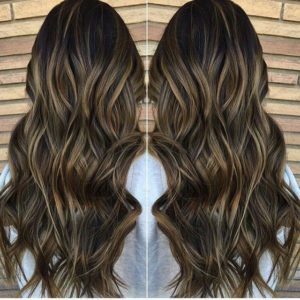 It is very important for you to know that hair coloring is difficult, it is not just slapping something on your hair and expecting it to look exactly how you imagined it, and also magically styled in long beautiful beach waves when in real life you have thin and shoulder length hair. Dimensional highlights can have different levels, which range from subtle / low contrast to bold / high contrast. 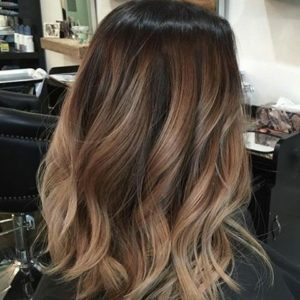 The actual technique you should leave up to your hair stylist to achieve the look you are looking for, just because you think you want balayage does not mean that this is the right technique for you. 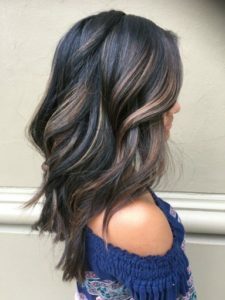 Low or subtle dimensional highlights: What represents these type of dimensional highlights is that the contrast between the dyed parts of the hair and the base color is low, or subtle. These are the highlights you will want to get if what you are looking for is a natural, sun kissed look. Bold or high contrast dimensional highlights: These types of dimensional highlights are represented by a higher and more noticeable contrast between the two colors say, for example, the base color is a brown shade and the highlights are blonde. These two colors are highly contrasting in shades. These are the highlights you should get if what you are looking for is a bolder and more notorious look. Both of these types of highlights can be mixed with other highlighting techniques such like balayage, to have an even better finish to the hair strands and making you look the best you could possibly look. With blonde hair there are a couple of ways to work when it comes to highlights, one of them if with the darker shades of blonde hair and that would be to decolorize the hair and then add a toner to get beautiful highlights. This technique can only be used on the darker shades as they are the ones that have some color to spare and remove. One easy way to get subtle dimensional highlights is to decolorize your hair for a short amount of time, making such that the final color is only a few shades lighter than your natural hair color. 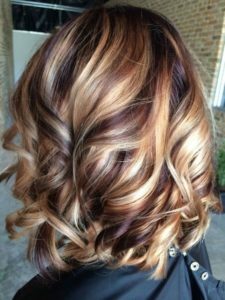 This can be easily done, and in the case that you miss the time and apply the bleach for longer than expected you can easily apply a darker hay dye on top of that to balance out the colors and end up with your subtle highlights. 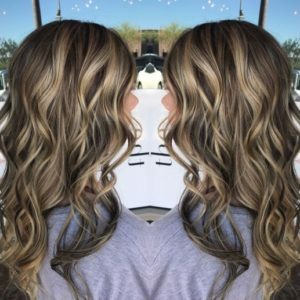 Some color that can perfectly fit with your dark blonde hair are honey highlights if you have warm toned skin it will perfectly match it to have a wonderful balance. 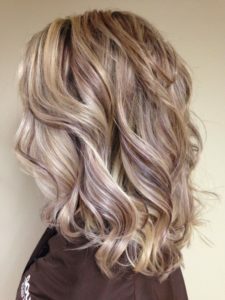 Or ash blonde highlights, these are more towards the cool tones so you can have a great time finding the right color for your skin tone. As stated before there are a couple ways to work with blonde hair when it comes to highlights, the first is to lighten the hair with bleach. But the second one would be lowlights, or simply adding darker shades to your hair so your natural hair color looks like if you had applied highlights. The definite way to apply bold dimensional highlights to your blonde hair is simple, just add brown lowlights to your hair leading to a wide contrast between the lightness of the blonde and the darkness of the brown, seamlessly creating an amazing look. Although, choosing the right shade of blonde dimensional highlights might be a bit more difficult than you thought it could be. By that we mean that just because blonde highlights match with any hair color it does not mean that is it easy to find a perfect match, actually, because blond has so many shades and tones it makes it difficult, but not impossible! 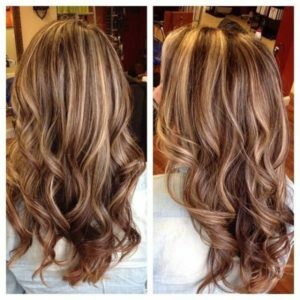 To find the perfect match all you have to do is go to your trusty hair stylist and ask them what color they think would fit you better, they are the ones that know best as they have all the needed knowledge to help you with this task. To subtly highlight brown hair all you need to find is a shade that is two or even three shades lighter than your base color. This will give you a natural make over adding light and movement to the hair as well as dimension. 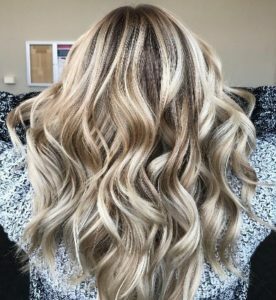 The bright side is that if you mix the dimensional highlights with the balayage technique you won’t really have to worry about retouching your hair too much as the balayage technique is on the lower half of your hair. Adding warm brown and copper tones can give you the opportunity to look like a heart breaker! Your dark hair will look superb with this dimensional highlights, allowing you to steal hearts and turn heads wherever you go. 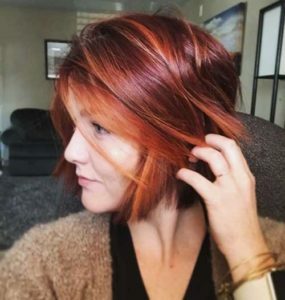 And if you want this highlights to pop a little more then, all you have to do is add a hint of auburn, or even a fantasy color to add a little pop to the mix. 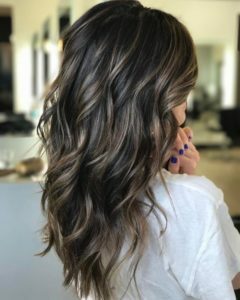 For cooler tones then you should definitely try with a smoky or ash brown highlights, they will give you a perfect amount of coolness you need, going for a sweeping light brown can also end up in a really good and seamless look, adding just enough depth and dimensions suitable for any hairstyle. Are you enjoying this highlights? Then learn how to apply them with this video! 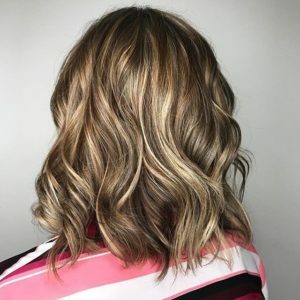 If you have brown hair and want a bolder look on your hair, then all you have to do is add blonde highlights to it, the brown and blonde highlights have such a contrast by themselves and will look amazingly if applied correctly. 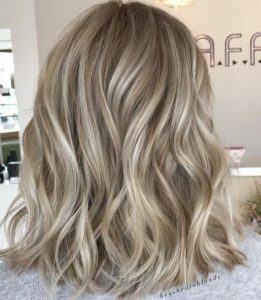 Ashy colors such like ash brown and ash blonde are also a really good option when you want a bolder change of look, they will add a nice contrast to your natural color without seeming too forced of fake, you will be the fashionista of your friends with this. 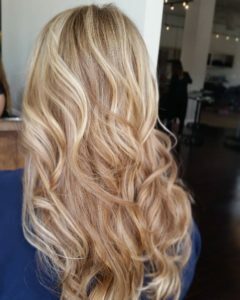 If you spend a lot of time under the sun then add some golden blonde or honey dimensional highlights to your hair, they will look astonishing by themselves but when under the sun you will have an even more noticeable and beautiful look, this highlights color will give you beautiful looking hues on your hair. Do not follow the rules set by some unknown person, you can certainly try to apply some colorful highlights to your hair, this will definitely add some dimension to your hair. Too afraid of colors but want them either way? Then try a light shade with a tint of the color you want so it has a little color but it’s not over done. With red hair if you want to add subtle highlights then the best option for you, just like with the blonde haired girls out there, is to find a hair dye that is 2 or 3 shades lighter than your natural hair color to have a very natural looking highlight. Again, same advice than with the blonde girls, if your red hair is too light for you to feel comfortable looking for lighter shades then lowlights are your answer! All you have to do is, instead of finding shades that are lighter, you should find shades that are darker and apply them on the places that would naturally stay dark, this will also add the dimension you have been looking for. 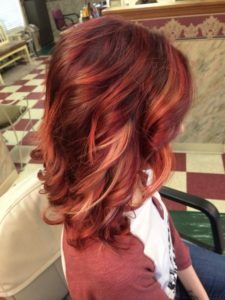 As red hair is naturally warm then going for warm colors is your safest choice, this will make it look more natural and have more movement. If you dare just enough blonde highlights can also be a choice for you, but be careful with the shade you pick as it can end up noticing too much for what are looking for. Adding some light and movement to black hair with dimensional highlights is definitely the best trick you can think of, you just have to be sure your stylist is picking the right color shade for you so you can end up with the results you have been dreaming about. If you do not know what color you should add to your black hair here we will leave some shade that we swear will make you look the best. For subtle and natural dimensional highlights try with browns, as they are technically the lighter shade of black when it comes to hair then it is a safe bet that this will give you a sun kissed look without even trying. Really, there is not a color that will look bad on black hair, being a neutral color and all that jazz, you are have complete freedom as to what color you want to add to your hair. For bolder dimensional highlights you can add some blonde highlights, they will add depth and dimension to your hair. When talking about new hair dyes, most of them have damaging complements that can really affect your hair, so you need to be consent of this before dyeing your hair. What the hair dyeing process is doing, along with changing your hair color to the one you have always wanted, is damaging your hair by literally breaking its structure eliminating and changing its color. 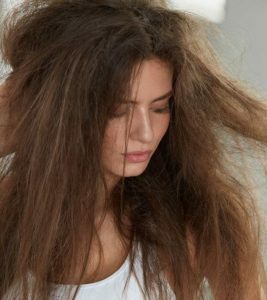 Of course, hair can be revived although not completely, just to a certain extent, so don’t expect for hair treatments to magically fix your hair in less than 20 minutes. Remember that once you dye your hair there is literally no turning back to what your hair was before, so be sure you really want to dye your hair before going forward. Once you have decided you do want to dye your hair after this, you also need to take into consideration other side effects like having an allergic reaction that can end up in irritation, itching, redness or swelling of the areas in contact with the dye, so it is recommended that you do a patch test at least 24 hours before you dye your hair. Now is the time to start taking deeper care of your hair so it doesn’t get all numb and hazy thanks to the chemicals in the hair dye. There are a wide arrange of products that you can use to take care of your dyed hair and allow to give it more life (or the illusion of it). The first thing we recommend is for you to change up your daily hair care routine and start washing your hair fewer times a week as excessive washing can also end up in dryness of the hair. This helps in two ways, first it avoids the hair from drying out too much and second, it allows the hair dye to stay for longer on your hair, the less you wash your hair the less you wash away the dye. Also, never miss the conditioner step, your hair will need all the possible hydration you can give to it.